Whomp whomp. There're no Overkill/Slugfest 2pks for sale. I really wish these guys had appeared on the U.S cartoon. Very cool colours and designs make for a great addition to Soundwave. Actually traded for this guy at one of my local comic shops, very nice deal, goes great with my soundwaves, and soundblasters. 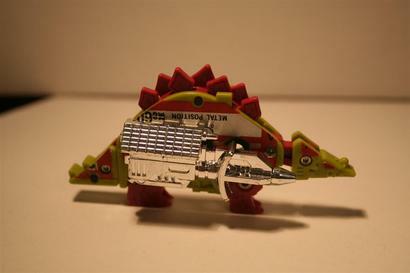 One of the best of the cassette two packs, with two dino-modes that are far cooler than the alt mode would suggest was possible. Overkill especially makes this a must have for G1 fans.